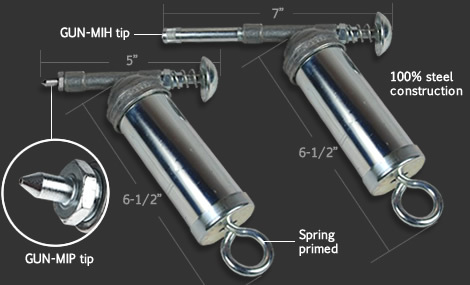 Mini grease guns are perfect for working in confined areas where traditional grease guns cannot be used. Palm and finger design allow easy on hand operation. Tool box size. 100% steel construction. Made in The USA.